A selection of our United States Marine Corps related aircraft. A 1:72 scale model of a 1942 Grumman F4F-4 Wildcat - An American carrier-based fighter that began service with both the United States Navy and the British Royal Navy in 1940. This model has a wingspan width of 17cm and a nose-to-tail length of 12.5cm. A 1:72 scale model of a 1952 Grumman F9F-2B Panther - A single-engined, straight-winged day fighter armed with four 20mm cannons and could carry a wide assortment of air-to-ground munitions. 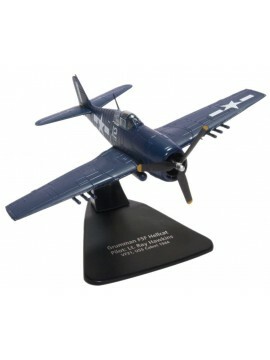 A 1:72 scale model of a 1945 Vought F4U-1D Corsair - An American fighter that saw service primarily in World War II and the Korean War. 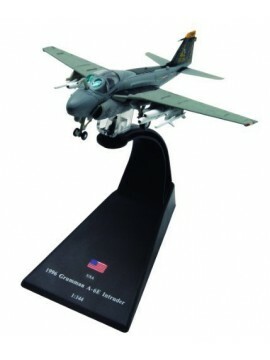 A 1:72 scale model of a 1944 Grumman F6F Hellcat (VF31, USS Cabot) - An American carrier-based fighter of World War II. 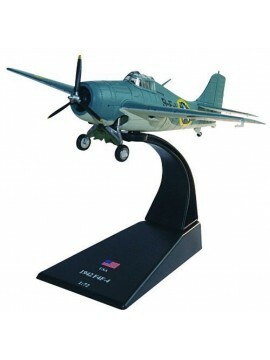 Designed to replace the earlier F4F Wildcat and to counter the Japanese Mitsubishi A6M Zero. A 1/72 premium scale model of the Lockheed Martin F-35A Lightning - "Nomads" Eglin Air Force Base. The landing gear is removable and can be displayed with the gear doors closed. 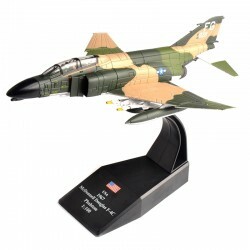 This model has a wingspan width of 14.5cm and a nose-to-tail length of 21.5cm.